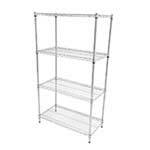 Additional perma plus wire shelves for use with the Eclipse Perma Plus Wire Shelving bays. 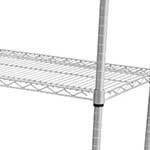 The extra shelf for eclipse perma plus wire shelving is available to order from ESE Direct. 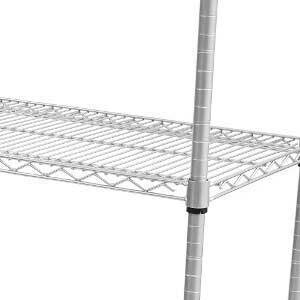 The extra shelves are compatible with the Eclipse Perms Plus Wire Shelving Bay. The extra shelves benefit from a shelf load capacity of up to 300kg, making them robust and durable. For business seeking easy-to-assemble additional storage space, the extra shelves are a perfect choice. The Eclipse Perma Plus Shelving systems have the same design features as the Eclipse Chrome shelves. The Perma Plus shelves have an anti-corrosion guarantee of ten years and have been treated with an antibacterial additive for hygiene purposes. They can be used in cold and damp areas, including freezers and chilling units, making them a great choice for businesses in the catering sector. Bolt-free, the shelves are easy to assemble. 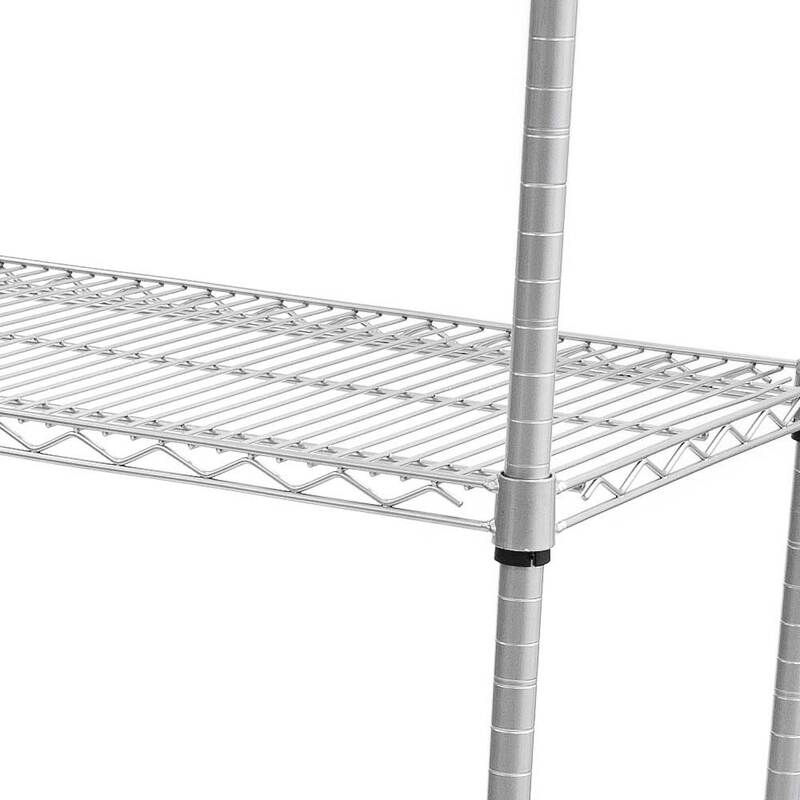 The extra shelf for eclipse perma plus wire shelving is available in 13 different sizes, width and depths.